East Thorne is perfectly set up for couples, families and groups, with nine luxury yurts, a unique glamping roundhouse and four cosy cottages for those wishing to stay a little more conventionally. 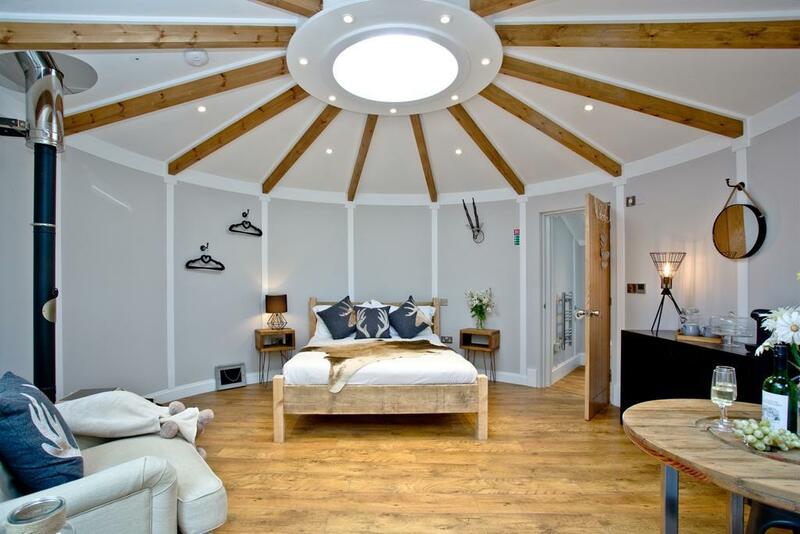 Sustainably sourced from Mongolia, the yurts are designed with a modern British twist. Wooden framed with felt lining, and covered with a waterproof canvas, the yurts are greatly suited to the British climate. 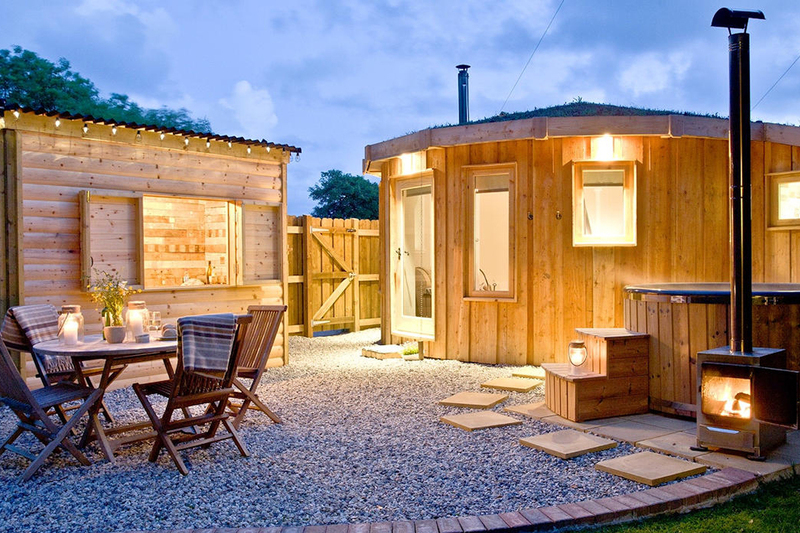 Set on sturdy decking, inside you&apos;ll find large handmade beds, log burning stoves and snuggly blankets and furnishings. 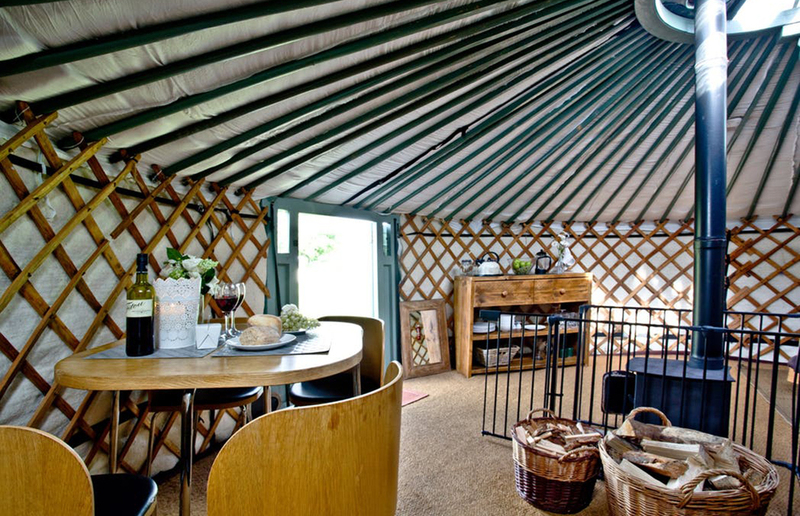 The yurts also have electric, WiFi and refrigeration, as well as their own undercover outdoor kitchen with separate barbeque, al fresco dining area and storage. All of the practical things necessary to make your stay hassle-free are included too, such as pots and pans, crockery, cutlery and even herbs from the communal garden! The uber-glamping roundhouse with luxury ensuite bathroom and hot tub offers an exclusive experience for couples to enjoy all year round. The larch wood construction is covered in an insulating grass roof, and has a central sky porthole for star gazing. A quirky, modern interior contrasts nicely with the humble countryside setting. Expect high-end luxury, with carefully chosen fixtures and fittings, sumptuous fabrics, a cosy wood burner and underfloor heating. The roundhouse also has its own private garden tucked away from the main site. There you&apos;ll find your own wood-fired hot tub (round of course! ), covered alfresco supper kitchen and a fire bowl for cosying up next to in the evenings. Whichever option you choose, the alfresco kitchens, wood fired clay ovens and campfire dutch ovens offer all of the rustic charm of cooking outdoors. The site also has access to the best, fresh, local, quality produce, from the local farm shop to freshly caught fish and seafood. Two hampers can be ordered ready for your arrival. The roundhouse is available all year round, while the yurts are open from Easter until October half term.